Coral reefs are a nutritional hub for fish, mollusks, urchins and larger mammals, including human beings. They are also living organisms incredibly sensitive to environmental changes. According to the U.S. Department of the Interior, more than 60 percent of coral reefs worldwide are at risk of being impacted by a variety of pollutants, including up to 6,000 tons of sunscreen that enters reef areas annually. 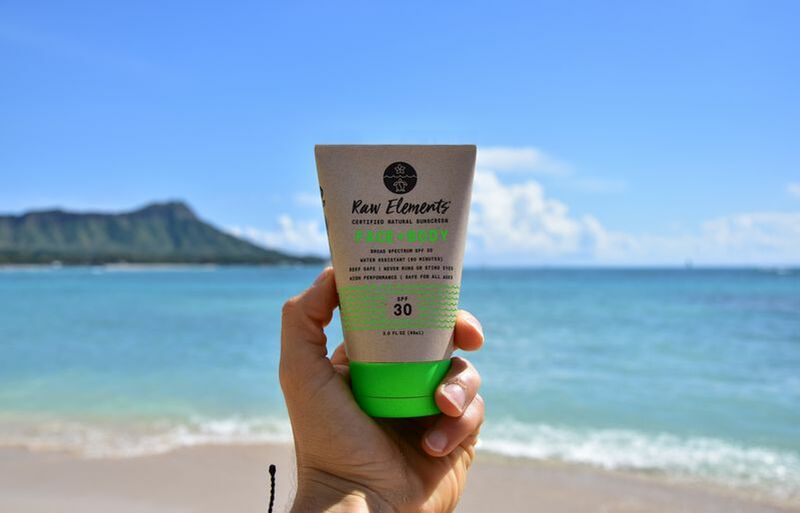 To help minimize the impact of sunscreen on our reefs, Hawaiian Airlines teamed up with Raw Elements USA, a certified natural, chemical-free, reef-safe sunscreen company. 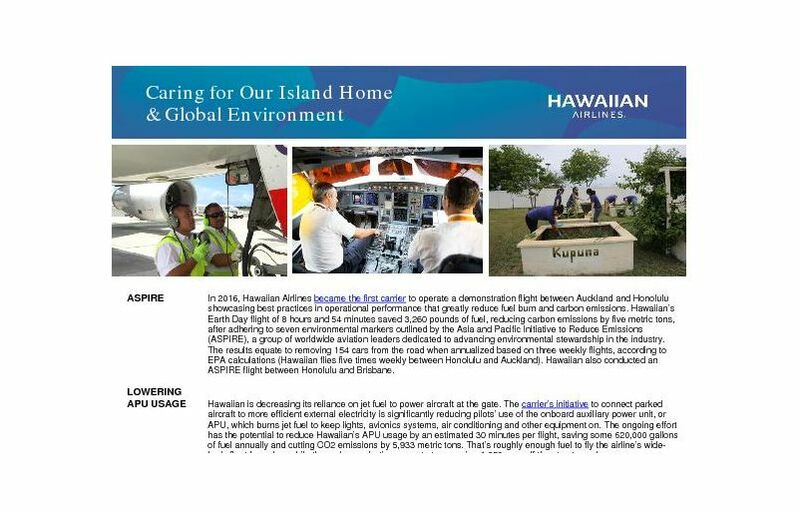 This campaign, which kicked off in April 2018, supports our airline’s ongoing sustainability initiatives and reinforces our dedication to protecting Hawai‘i’s pristine natural resources. But we can’t stop there. 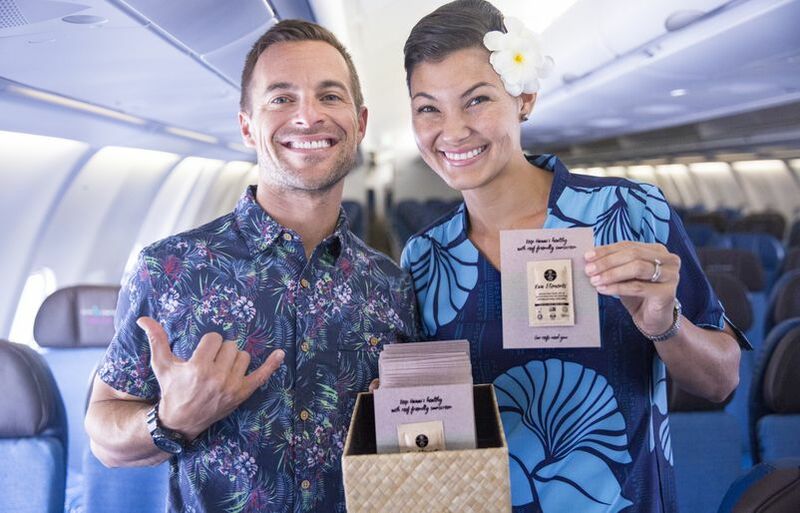 Our Hawaiian Airlines ‘ohana encourages our guests to join us in growing a more sustainable future and become eco-friendly travelers every time they visit our shores. 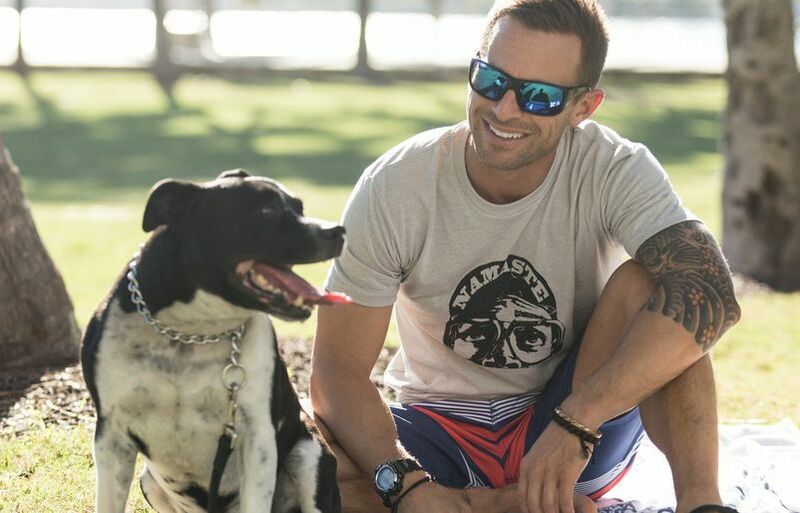 That’s why we talked story with Raw Elements USA founder and CEO Brian Guadagno, a 20-plus year ocean rescue lifeguard who realized there was a huge need for a natural sunscreen for ocean dwellers and active people like himself. He has since become a leader in ocean advocacy and continues to steward consumers nationwide to adopt an eco-friendlier lifestyle. Brian shared his top tips on flying sustainably – from knowing how to buy a reef-safe sunscreen to knowing what to pack in your carry-on. Check them out below and get started on getting green! First, I never travel without an insulated water bottle. Having a reusable container keeps me from needing to use single-use plastics whether it’s for water, coffee or tea – hot or cold! I also try to pack my own snacks in reusable containers to avoid foods or meals that are packaged in a plastic wrapping. When I want a drink, I usually ask if I can have the original bottle or can instead of having it poured into a plastic cup. If I really need a cup, most cabins have paper cups for hot coffee. Always decline the plastic straw. The Raw Elements USDA Organic Herbal Rescue lip balm never leaves my pocket when I’m flying. I stash a stick and small can of our moisturizer in every travel bag I own, too! I almost always decline the plastic bag. To make it easier to say no, try packing a light backpack or reusable tote bag inside your suitcase to use when you’re out shopping and exploring. When I’m traveling, I will always look and ask for locally sourced food and drinks. This is a great way to experience what the destination truly offers and to reduce your carbon footprint. Raw Elements USA is the only sunscreen I ever pack. I know I’m protected naturally and utilizing ingredients that are as sustainable as possible. I’m an ocean lover so ensuring reef safety with my sunscreen use is huge. Forgot your Raw Elements at home? Don’t worry, there are other brands that do a great job too…you just have to know how to look for them. 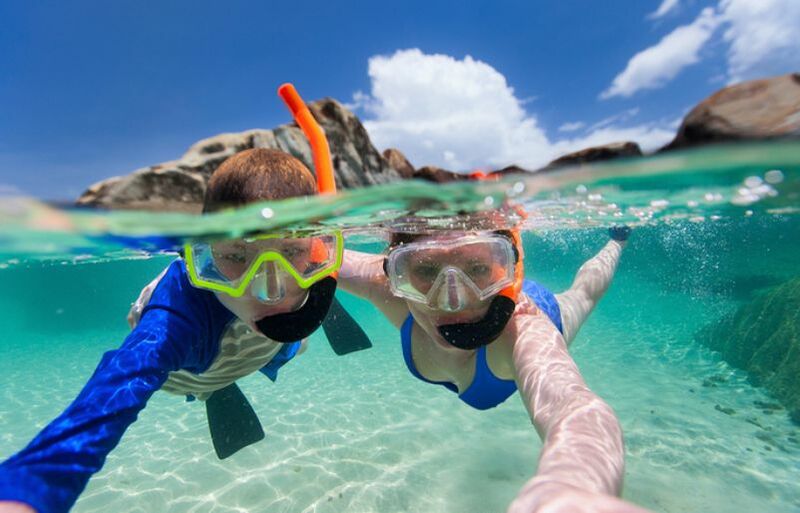 My best advice when buying a truly reef-safe sunscreen is to look for one that only uses Zinc Oxide as the active ingredient. To go one step further, look for Non-Nano Zinc Oxide on the label. If that is what you are using, you can be confident you are truly doing your part!